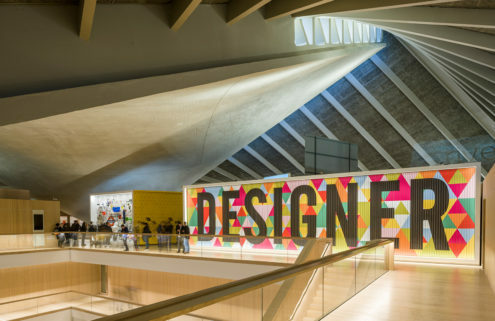 A plastic-free shopping aisle, a library built from ice cream buckets and LADbible’s Trash Isles are among the nominees for the 2018 Beazley Designs of the Year, unveiled at London’s Design Museum today. Made Thought’s Plastic Free Aisle gives a glimpse of a plastic-free future. First introduced in an Amsterdam branch of Dutch supermarket chain Ekoplaza earlier this year, it has partially been recreated as part of the Beazley Designs of the Year 2018 exhibition. 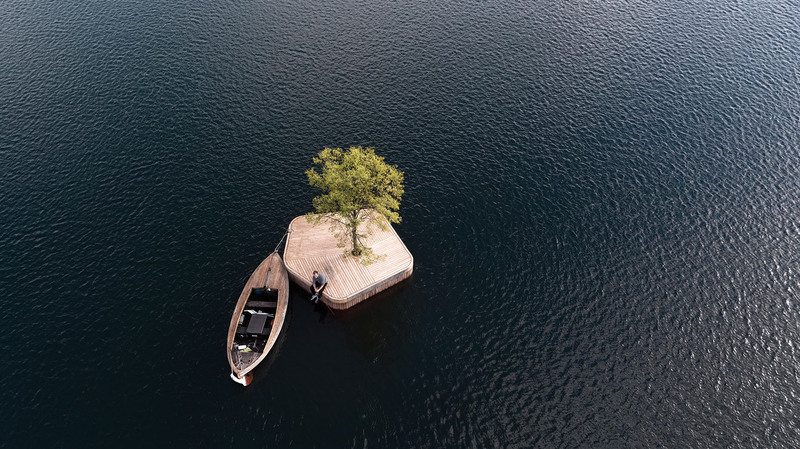 Meanwhile, LADbible’s Trash Isles project is another plastic protest, which saw it campaign the United Nations for a floating garbage island the size of France to be recognised as a country in the North Pacific – complete with its own passports. Finding alternatives to plastic is a pervading theme. 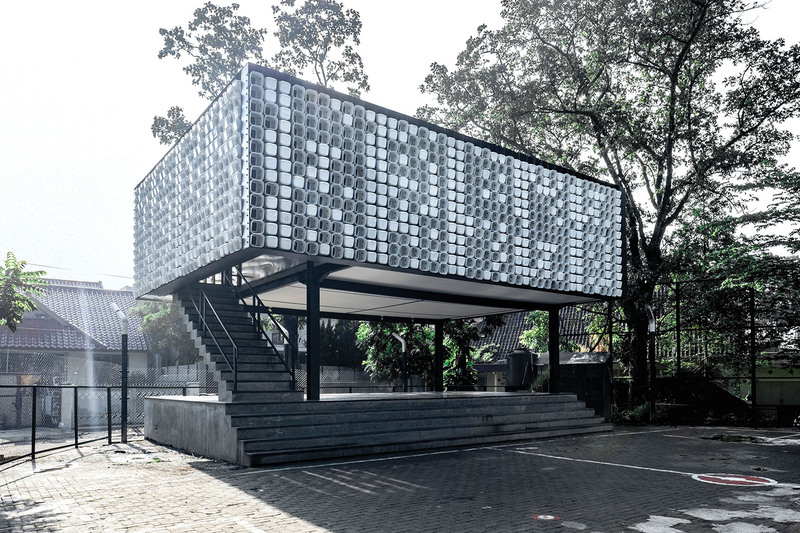 Studio Klarenbeek & Dros has gained a ‘product’ category nomination for its Algae Lab, exploring the potential of algae as a replacement for non-biodegradable plastics. 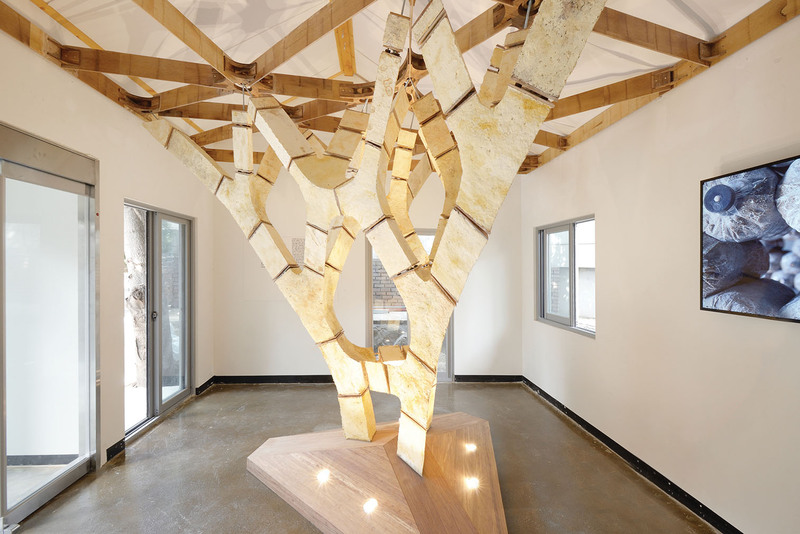 In the ‘architecture’ category, Sustainable Construction and Block Group made the shortlist with their MycoTree installation, built from load-bearing mycelium (root-like fungal colonies that produce mushrooms). 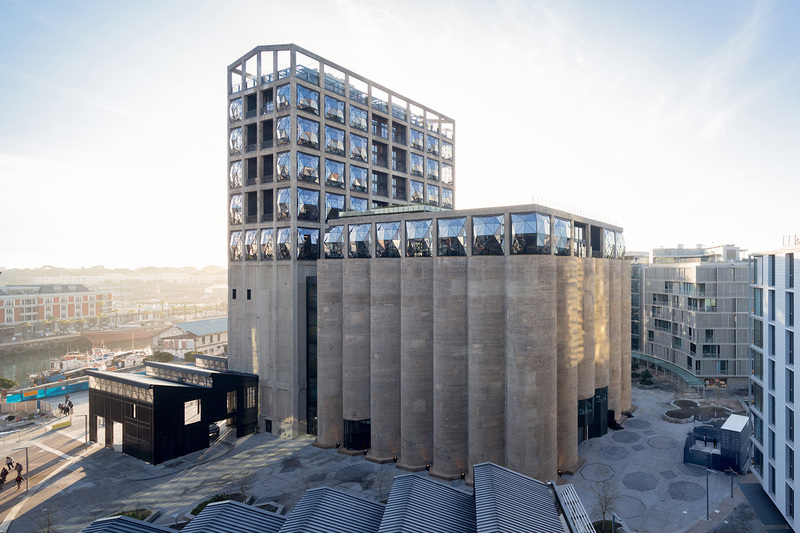 You will have spied many of the ‘architecture’ nominees on the pages of The Spaces in recent months, including Heatherwick Studio’s Zeitz MOCAA in Cape Town; Jean Nouvel’s Louvre Abu Dhabi; and Marshall Blecher and Magnus Maarbjerg’s Copenhagen Islands project. Identity and gender is also a dominant talking point, particularly in the ‘fashion’ category, which includes the Burberry Rainbow Check, launched in support of LGBTQ+ activism. Category winners and the overall ‘Beazley Design of the Year 2018’ will be announced on 15 November 2018. The exhibition runs from 12 September to 6 January 2018 at the Design Museum in Kensington, supported by a book designed by The Spaces’ collaborator John Morgan studio. 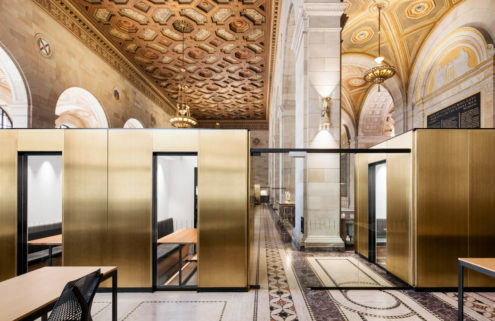 Last year’s winner was the National Museum of African American History and Culture in Washington DC, designed by David Adjaye. 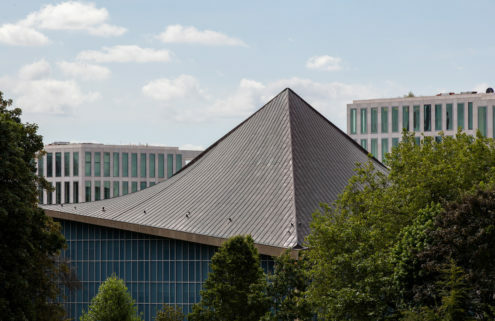 Design Museum review: does its architecture match its ambitions? 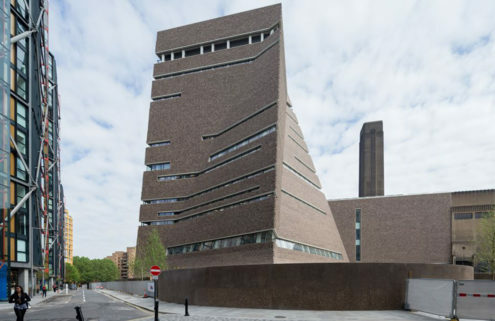 Design Museum’s new home: will it do for design what Tate Modern did for art?